It's that time! A lot of you have children, and I'm sure your kids are either about to start school, or may have already started school. Well with Simply-Bags, you can send your child back to school with style! 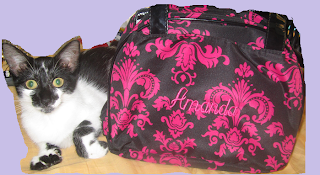 Simply-Bags has a great selection of fabric lunch bags! And these aren't just regular lunch bags. 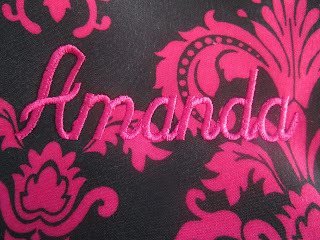 You have them embroidered, and you can have your child's name put right on it! With a personalized lunch bag, your child can show their uniqueness, and individuality! 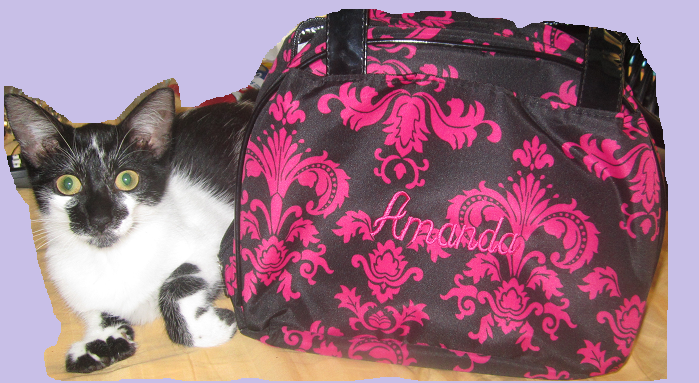 I received this fashionable Fabric Lunch Bag in Fuchsia and Black. The quality was amazing, and it also looked amazing! I couldn't be happier with it! I love the pattern, and the insulation on the inside is just spectacular! It keeps food hot, or cold, for hours! I also love that this lunch bag is very roomy. It looks really small when there is nothing in it, but it expands, and you can store a lot. There are also 2 convenient pockets on each side. You can connect with Simply-Bags on Facebook, and Twitter. Disclosure: Review product was provided free of charge. All opinions expressed are my own, and were not influenced in any way. The bags are adorable!!! I'm following from the SS Blog Hop! I love that bag, but I always feel schoolbags should have long straps, so they can be carried on the shoulder! However my daughter doesn't agree with me.